The information presented on this page was originally released on January 25, 2016. It may not be outdated, but please search our site for more current information. If you plan to quote or reference this information in a publication, please check with the Extension specialist or author before proceeding. One of the grandest and maybe gaudiest garden and landscape shows is the blooming of the Southern indica azaleas, especially in south Mississippi. For most of the year, these shrubs play a supporting role in the landscape, which they do well, providing a great background for the warmer-season flowering plants. But in the spring when really nothing else is blooming, we can enjoy the Southern indica flower show. However, there’s a problem this year. With the unusual fall and early winter weather, there were an awful lot of azaleas that became confused. What started as only a few flowers turned into a lot of off-season azaleas blooming, at the expense of their usual spring flowering. It’s been my experience that a problem for some plants in the landscape becomes an opportunity for others. I think this spring, many gardeners will turn their attention to our native azaleas. We’re fortunate to have these early spring bloomers in the Southeast. All native azaleas are deciduous and are in the genus Rhododendron. 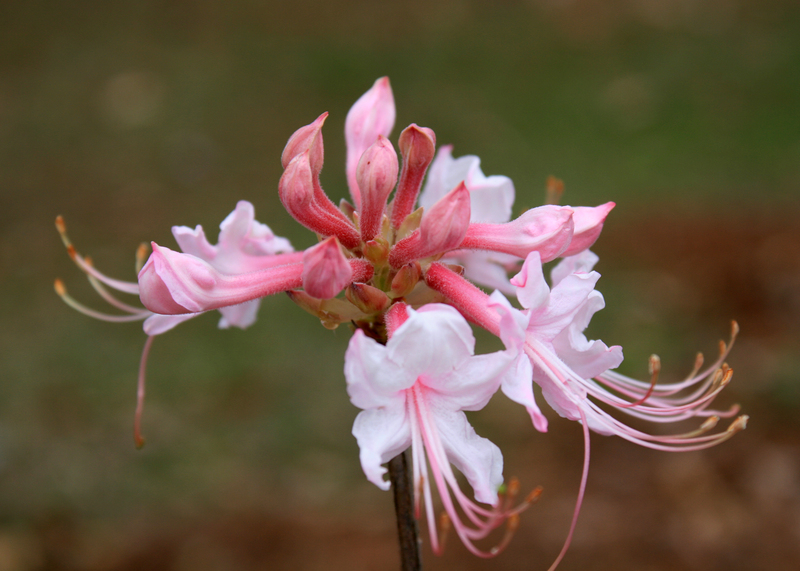 We have two typical early-blooming azaleas native to Mississippi, but there are 15 species of native azaleas. With careful planning and working with your local nursery and garden center, home gardeners can enjoy these plants with their bloom times that start in late March and continue through the summer. One native azalea is Rhododendron canescens, commonly called piedmont or honeysuckle azalea. Its flowers are primarily various shades of pretty pink and delicate rose with white accents. As an added treat, these flowers are very fragrant and pleasant on a calm, early-morning garden stroll. 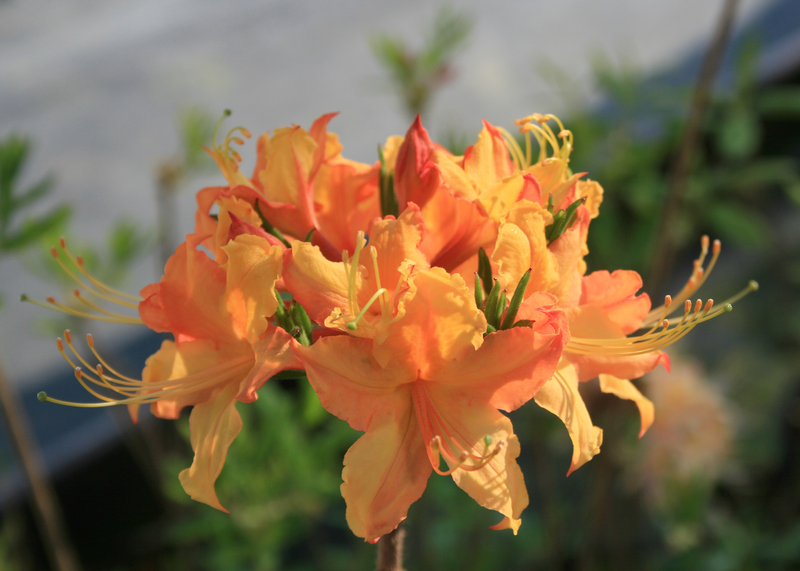 The other common Mississippi native azalea is Rhododendron austrinum, otherwise known as Florida flame azalea. You might guess by the name that the flower color range includes yellows, oranges and fiery reds. It’s a treat to drive along Interstate 10 in the early spring and spot these azaleas growing in their native habitat. 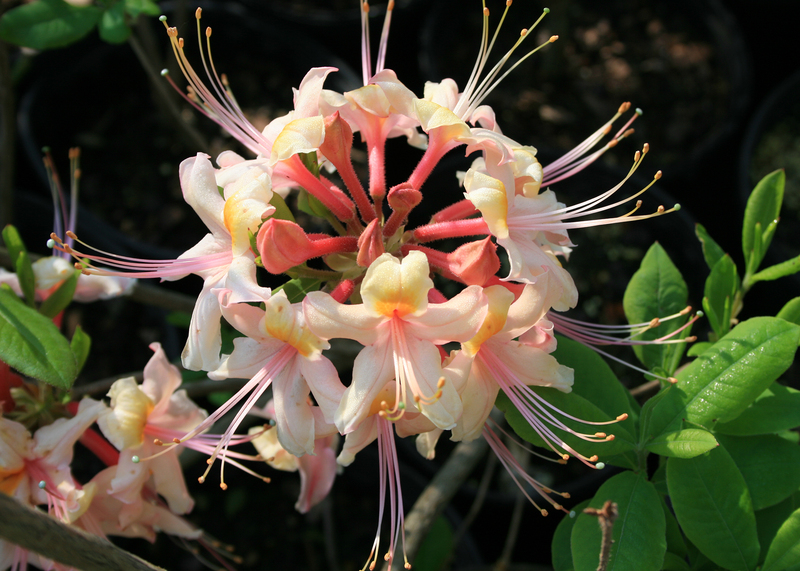 When ready to bloom, the native azalea flowers open on nearly naked stems. The flower buds on the outside of the cluster open first and continue with those in the middle. Flowers can be up to 1 ½ inches across, but it is the stamens and pistils that add charm and interest. These structures extend out of the flowers and add a delicate texture. A problem occurs when native azaleas are grown in containers. These plants have a very fine and delicate root system, and they can actually stick to the inside of a container. If you are transplanting one from a container, try this trick before removing the container. Soak the entire container in a bucket of water, and never cut or slice the root system like we do with many other landscape plants. Damage to their roots may be irreversible. It’s best to plant your native azaleas in a location that has filtered sunlight, similar to that experienced along the edges of woodlands. To help with drainage, always plant with the top of the container 1 to 2 inches above the soil level. 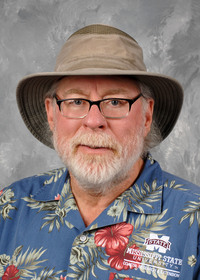 Frequent readers of these Southern Gardening columns are familiar with the Mississippi State University trial gardens located across the state. This past year, we planted the Sun Bow series of native azaleas Solar Ray, Solar Glow and Solar Flare. As the names suggest, these are various shades of yellow, gold and orange. These varieties are in the market in the Southern Living Collection of plants. The flower buds have been swelling, and I can’t wait for them to open in the weeks ahead.